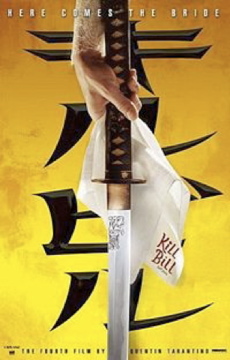 Have you ever seen “KILL BILL”?? Do you want to know why I asked to you that suddenly? who are wearing a Japanese school uniform. Well,I had my hair cut last week and I slept when the hairdresser was cutting my hair. So I didn’t know my forelock became so short !! YES!! She is ” GOGO YUBARI” !! Nacho!! !You are such a kind guy!! I’m sure that you’ll laugh at me if you see it!! And Oscar is afraid of me,because of my hair!! Please, you have to send me a picture just to see how beautiful you are!!!! By the way…. why is Oscar afraid??? Tell him to be brave!!!!! hahaha…Oscar is afraid of me, because I’m like her. and He felt like ” I’m going to kill him” with the hair style!! I like your hair style! !